Our Online Training Portal includes recorded training presentations, plus an array of other training materials. It is extremely easy to use. Users can learn at their own pace or to a set schedule. Features include tracking and reporting and certification. This course provides delegates with a solid understanding of the UCITS Directive and related regulations and guidelines. This includes, for example, a review of the historic development of UCITS and the UCITS IV provisions in respect of management company obligations, master-feeders and KIID documents. This course provides a comprehensive review of the UCITS Eligible Assets provisions, including for transferable securities, open-end funds, financial indices and structured financial instruments. Delegates will understand how UCITS can obtain exposures to commodities and real estate etc. This training course provides a comprehensive overview of the UCITS Investment and Borrowing Rules, including case studies and practical examples. Delegates will gain a strong familiarity with the UCITS Investment limits. This training course provides a comprehensive review of the UCITS Derivative rules, including in respect of commitment exposure, global exposure, counterparty exposure and cover requirements. The course includes detailed case studies and practical examples. 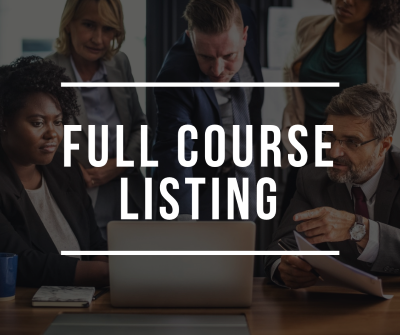 This course provides an introduction to Value-at-Risk, including an introduction to value-at-risk methodologies, the UCITS regulatory limits, requirements for stress testing and back testing and investor disclosure.